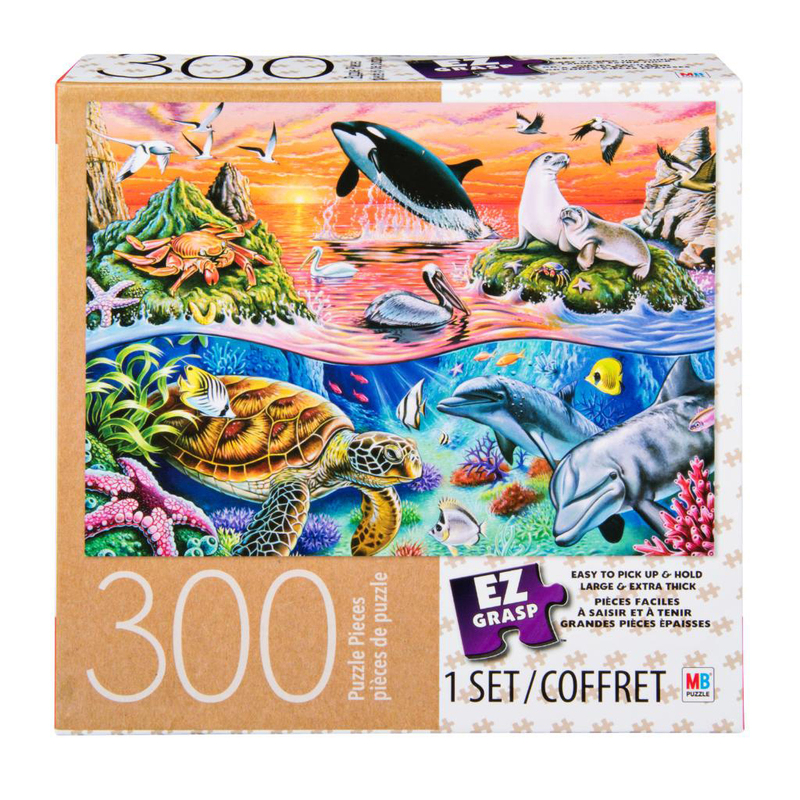 Majestic ocean creatures of all sorts come to life in this 300-piece puzzle by celebrated artist Mark Gregory. EZ Grasp puzzles are designed with children and seniors in mind. 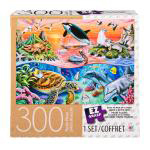 This 300-piece jigsaw puzzle has thick pieces that allow for easy pick up and assembly. Measures 18" x 24" when complete.